For a shorter biography (c.300 words) please click here. Michael made his Wigmore Hall debut in 1980, where he was described as “a real find”. In 1981 his duos with his wife, cellist Margaret Powell and oboist Douglas Boyd were both winners of the Greater London Arts Association. 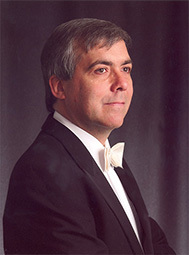 Subsequently, as a member of three chamber ensembles, the Dussek Piano Trio, Endymion and Primavera, Michael has been privileged to work with many of Britain's finest instrumentalists, performing regularly in concert venues and festivals throughout the country and broadcasting frequently for BBC Radio 3. Recently he has performed with cellist Gemma Rosefield and violinist Leoš Čepický in Wigmore Hall recitals and at major festivals internationally, including the Prague Proms. 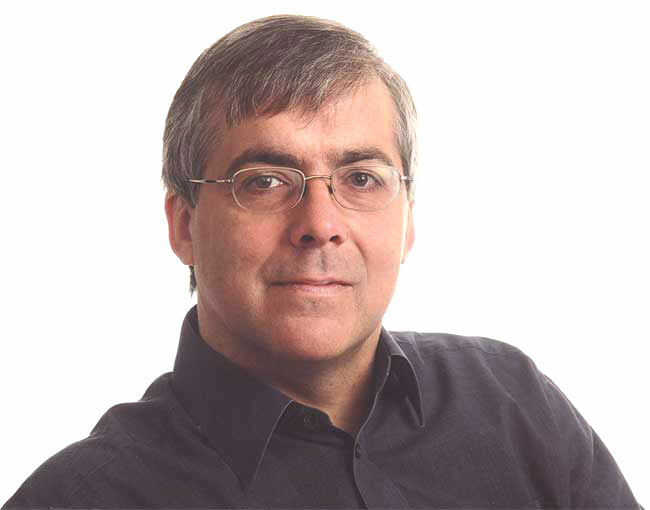 He has also collaborated with the Bridge, Chilingirian, Coull and Dante String Quartets. Michael has performed in many of the world's major concert halls, including London’s Royal Festival Hall, Royal Albert Hall, Wigmore Hall, Queen Elizabeth Hall, Cadogan Hall, St John’s, Smith Square and Royal Opera House. As a member of Endymion he gave the opening recitals in Kings Place. 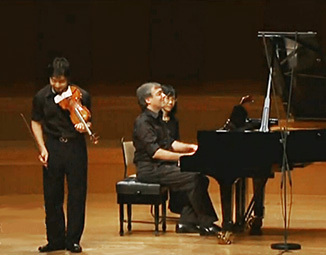 Further afield he has played in New York’s Carnegie Hall, Amsterdam’s Concertgebouw, Madrid’s Auditorio Nacional, Osaka’s Symphony Hall, Seoul Arts Centre, Tokyo’s Suntory Hall and major venues in Beijing, Bergen, Bonn, Brussels, Helsinki, Hong Kong, Paris, Prague, Sydney, Taipei, Toronto and Vienna. From 1985-1999 he toured extensively with cellist Ofra Harnoy, giving more than 80 recitals in Japan alone. He has also partnered leading violinists Cho-Liang Lin, Anne Akiko Meyers, Kurt Nikkanen, Gil Shaham, Antje Weithaas and Xue Wei. Singers Michael has partnered include Bernarda Fink, Stephan Loges, Christopher Maltman, Ian Partridge, Jean Rigby, Joan Rodgers and Vassily Savenko. In 2006 he undertook a 13-recital tour of Japan with violinist Ryu Goto, including two recitals in Tokyo's Suntory Hall, recorded live for CD and DVD by Deutsche Grammophon. Further tours took place in 2009 and 2012. 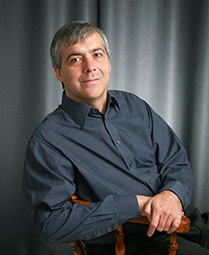 Michael's discography is extensive and has been highly praised. It includes more than twenty recordings in Dutton Epoch's acclaimed survey of neglected British music from the 20th century, including York Bowen's first three Piano Concertos with Vernon Handley and the BBC Concert Orchestra. The first Concerto was selected for Fanfare Magazine’s prestigious Hall of Fame and all three Concertos feature in the Penguin Guide to Compact Discs top 1,000 recordings. 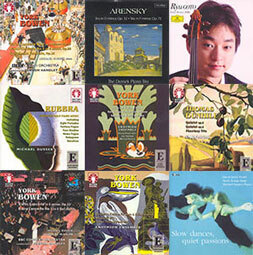 Other highlights include Bax songs with Ian Partridge and Jean Rigby; Rubbra's complete works for solo piano, and his chamber music, including a disc of the Violin Sonatas with Krysia Osostowicz, which was nominated for a Gramophone Award; also previously unrecorded chamber works by Bantock, Bowen, Dale, Dunhill, Coleridge-Taylor, Hurlstone, Jacob, Leighton and Parry. 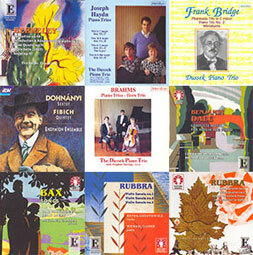 His Hyperion disc of Britten's music for Oboe (Sarah Francis) and Solo Piano was described by Fanfare Magazine as "one of the most magical discs of Britten yet made". With the Dussek Piano Trio he has recorded works by Arensky (a top recommendation in both Gramophone and International Record Review), Brahms, Bridge, Haydn and Hurlstone. His recordings on RCA with Ofra Harnoy include sonatas by Prokofiev and Schubert (winner of a Canadian Juno Award) and Beethoven, and works by Dvorak. With violinist Xue Wei he made the first classical CD recorded by EMI in China. 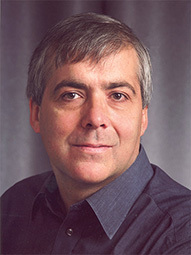 Michael’s recording of solo piano music by his friend and colleague, the late Clifford Benson, was enthusiastically received and was a Classic Album Recommendation on Classic FM. Whilst still a student at the Royal Academy of Music Michael was invited to act as resident pianist for Jacqueline du Pré's Masterclasses at Aldeburgh. 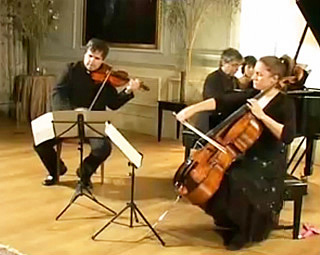 Other legendary artists with whom he collaborated include cellists Pierre Fournier and William Pleeth, violinist Sandor Vegh, violist Bruno Giurrana, and clarinettist Karl Leister. In recent years he joined actress Prunella Scales and tenor Ian Partridge for performances of "An Evening with Queen Victoria" in Britain and the U.S.A. He acted as official accompanist for the Benson and Hedges Gold Award Singing Competition, and for the Carl Flesch, Yehudi Menuhin, Wieniawski and China International Violin Competitions. He has performed with the soloists of the Chamber Orchestra of Europe and the Orchestra of the Age of Enlightenment, the Fidelio Piano Quartet and the Schubert Ensemble. Michael is a dedicated teacher and his students are now prominent in the music profession as piano soloists, accompanists, chamber musicians and conductors. 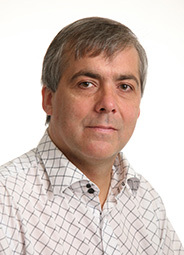 He has given Masterclasses in Berlin, Hannover and St Petersburg and in 2009 he was Piano Consultant on Sir Thomas Allen’s English Song Course at the Britten-Pears School in Aldeburgh. He has coached on the Tunnell Trust Course in Blair Atholl, Scotland, with William Bennett, Neil Black, Richard Deakin and Charles Tunnell, and on courses at the Purcell School and the Yehudi Menuhin School. 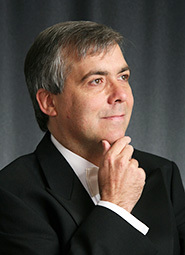 He has acted as a jury member on the St Petersburg Three Centuries of Classic Romance International Song Competition. Michael is a Fellow of London’s Royal Academy of Music where he is also Senior Tutor in Ensemble Piano and Head of Piano Accompaniment.